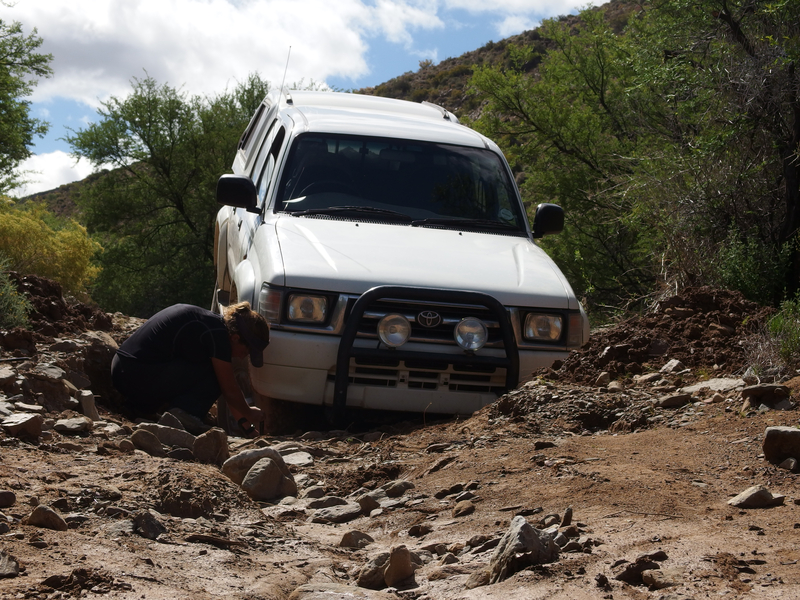 Conducting research in the field, and especially in the Karoo, is expensive: one needs to have a 4×4, good tires and to keep the whole machinery going for months, and for thousands of kilometers. Who would like to get stuck on a mountain or a riverbed far from the closest farm and with no cell-phone coverage (believe me, I know! Please, see pictures below)? 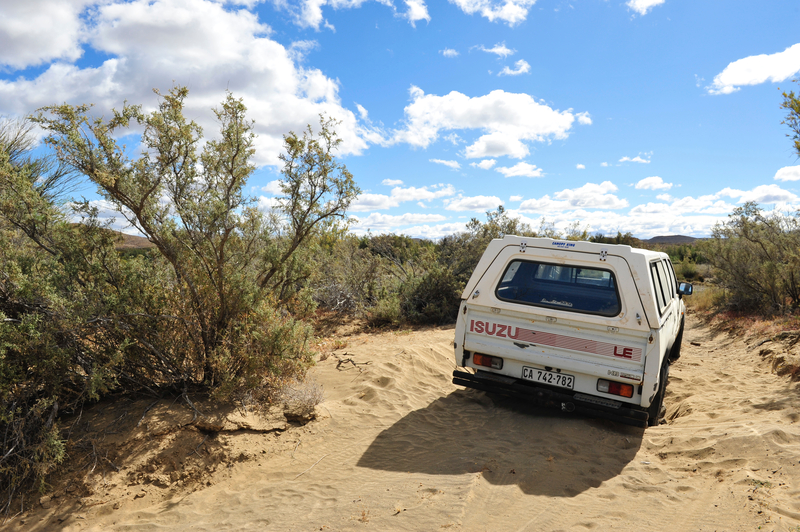 The first Isuzu of the Project – Tuf Tuf – stuck in a sandy riverbed in the Karoo. Tuf Tuf retired and got stolen in Cape Town after Marine bought a very needed 4×4. Marine stuck in the mud with her newly bought Toyota Hilux named Lucky, Anysberg Nature Reserve, Klein Karoo. After a long season in the field collaring and monitoring baboons on Karoo farms, Dr. Marion Tafani’s personal Isuzu (named Suzi) needed a bit of care. Indeed 30.000 km in a year mean a lot of wear and tear! Marion’s Isuzu on a dirt road in the Karoo. 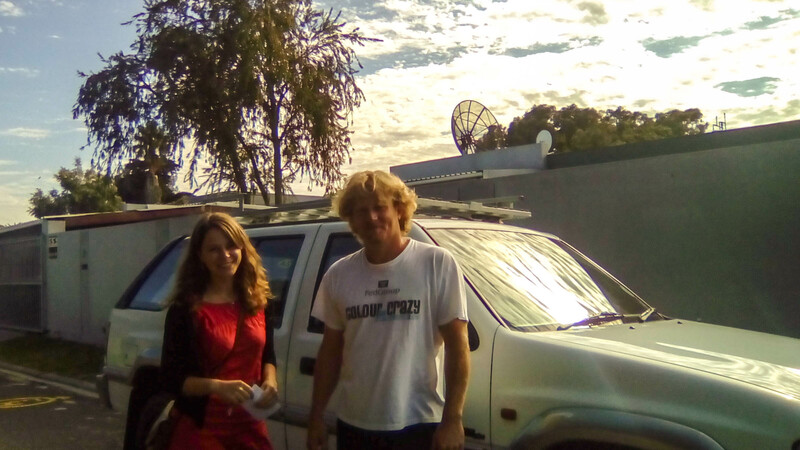 Back to the Mother City, Marion went to Mario Fourie (Marshall Services), the Isuzu specialist in Cape Town, who nicely offered to help her and the Karoo Predator Project by sponsoring part of the service and repairs through his 4×4 club, the Swart Skaap Klub. 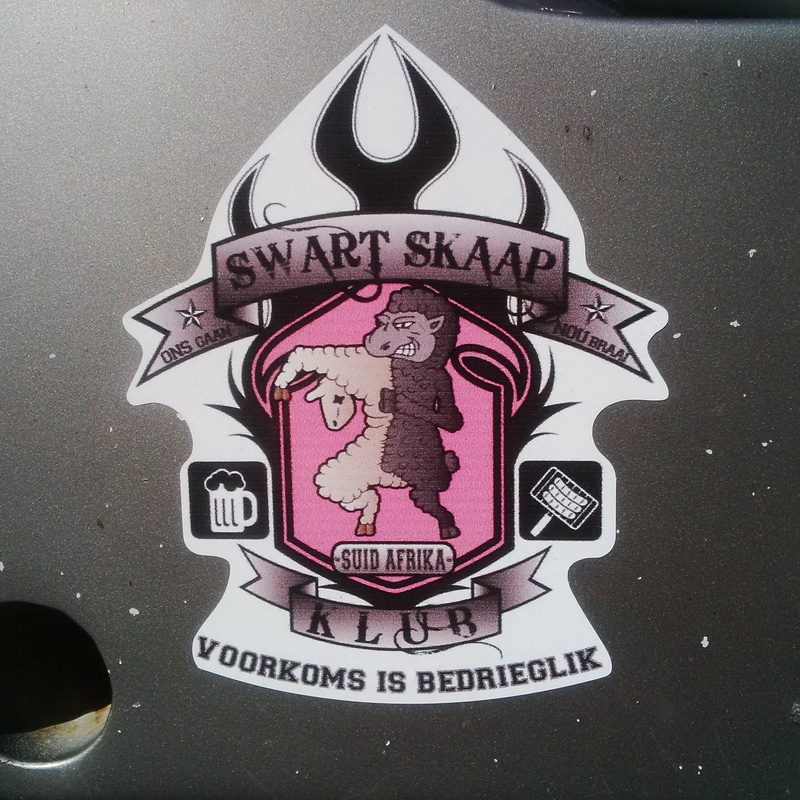 Logo of the Swart Skaap Klub who sponsored some of the reparations for Marion’s bakkie. The response of the community has been amazing! They generously sponsored half of the reparation (i.e. R5200) to fix the bakkie that is now rejuvenated and ready for the next session. 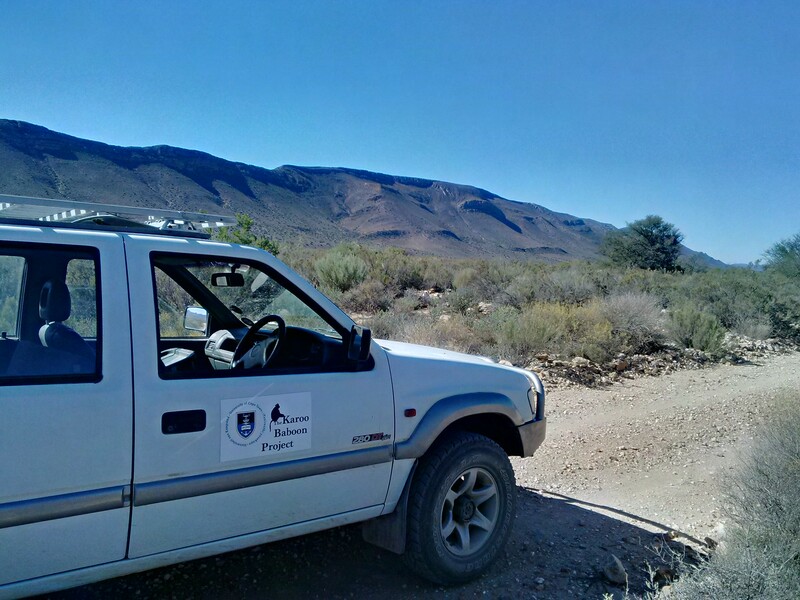 At the Karoo Predator Project, researchers work on a limited budget. All field vehicles are personal bakkies that belong to the researchers and students. It is often really difficult to cover the expenses linked to vehicles with a scholarship. The Project is therefore always looking for sponsors who would be ready to help (please see the page « how you can help» on this blog). The cost of services (Isuzu and Toyota), 4×4 all-terrain tires and bakkie parts are key recurring expenses, as well as fuel for fieldwork. If you are interested in helping the Project, you can contact us here or directly speak to Mario if you are part of the Swart Skaap Klub. The next very needed expenses are for two front tyres for Marion’s bakkie and one service for Marine’s Toyota. Marion and Mario in front of Suzi in Cape Town. We recommend Mario for his knowledge of Isuzu bakkies and warmly thank him and all the members of the Swart Skaap Klub who contributed to Suzi’s repairs. This entry was posted in Uncategorized and tagged fieldwork, Isuzu, karoo, karoo predator project, service, Swart Skaap Klub, Toyota. Bookmark the permalink.